Who Should Use Shortcut Blogging? The “expert” is always the person being interviewed. As the star of your own weekly podcast, your expertise and knowledge are showcased. Your customers, clients and fans will feel as if they already know you after listening to just a few of your podcasts. Trust is easier between friends. Everyone wants to do business with someone they know and trust. Can you see how this makes for stronger leads from your site? Transcription-based re-writes of your podcasts give search engines natural, relevant and keyword-rich content without the need for outside writers. Score! You’d better know your stuff!. If you’re being interviewed as an expert, you’d better be an expert. Our system shines the light on YOU…on center stage…front and center. Do you have a Tribe?. Our clients already have a tribe: customers, fans, followers, patients, patrons, constituents, donors, congregations, groupies…you get the idea. If you are NOT an expert in your field, being interviewed as one won’t help you. Sorry. Hacks, parrots, posers and fakers need not apply. What’s keeping you from blogging every week? Do any of these sound familiar? You can start blogging on a weekly basis – it only takes 60-minutes a month. When the local radio station calls you and asks to interview you about your area of expertise, you’ll JUMP at the chance. Right? If you’re passionate about your business, anytime you’re asked what you do, you light up. You’re the go-to person in your area of expertise. You don’t think your job is really a job. You love what you’re doing and you love talking about it. The hard part is getting it down on paper, or onto the computer. 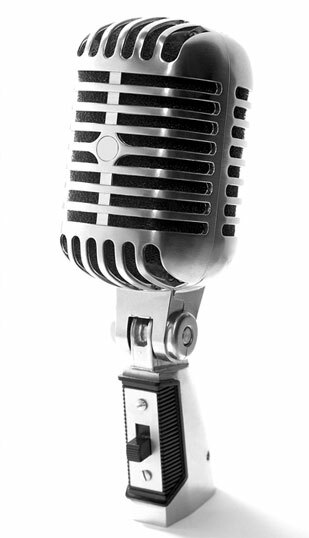 Why podcasting by yourself is difficult: Podcasting by yourself feels like delivering a speech. You’ll feel like you need to write it out and organize it as if you were preparing for a lecture. You’ll quickly hit the same wall that you do when writing a blog. Why not be your own host? If you act as the host of your own podcast, your focus will always be on your guest and his/her expertise. You may help your own reputation as an interviewer, but you won’t shine as the expert in the conversation. And, don’t forget that you’ll need a constant stream of guests. Being a podcast host is a busy job. You could just spend that time writing…but you aren’t, are you? Having an outsider as host will shine the light on YOU! There’s a magical change that happens when you are the one being interviewed instead of the one asking the questions. Suddenly, YOU’RE the expert! Since our host will be asking you about the topics that you created, you’ll never be surprised, ambushed or unprepared. Our topic outlining process ensures that you’ll have a list of weekly subjects that you can address with little or no preparation. You have many stories to tell. So tell your stories to the world. 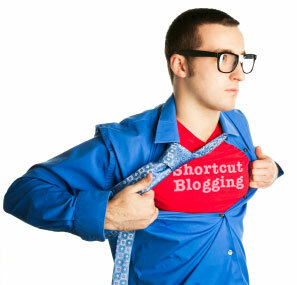 Once a month, in a single hour-long session, you’ll be interviewed by a Shortcut Blogging host. Those interviews are edited for a professional sound, transcribed and re-written for proper blog use. After editing and re-writing, we’ll post the audio and article to your blog. Now you’re blogging and podcasting! Because every web site is set up differently, we use an application process to screen potential clients. To find out if you and your site qualify, just fill out our application or give us a call at (888) 996-0660.